I was cycling up Gaden Lam, slow and red-faced, when I met Pema Dorji. He pulled up alongside me on his mountain bike, wearing a gho and bike helmet – neat despite the rain – and struck up a conversation. When the hill grew too steep (for me), we got off our bikes and walked as Pema Dorji told me his story. In 1998 Pema Dorji was living in the far south-west of Bhutan with a young family and a government job, when he was diagnosed with HIV. There was little awareness of HIV/AIDS in Bhutan at that time – he didn’t even know how the disease was spread until the doctors told him after he tested positive, and he and his wife discovered that they had been living with HIV for some time. Living in a small border town, the news spread quickly and life became difficult as he and his family were ostracised by their community. Eventually Pema Dorji and his wife got divorced. After a chain of long and incredibly difficult events – including the death of his ex-wife and loss of his children’s custody – left him on the verge of suicide, Pema Dorji decided the only way out was to leave his hometown. A supportive counsellor helped him move to Thimphu, where he slowly started to rebuild his life even as his illness progressed. By 2010 his T-cell count had dropped to just 60 cells/mm³ – well under the 200 cells/mm³ threshold below which an HIV sufferer is considered to have progressed to AIDS. Here, Pema Dorji’s story takes a turn for the better. 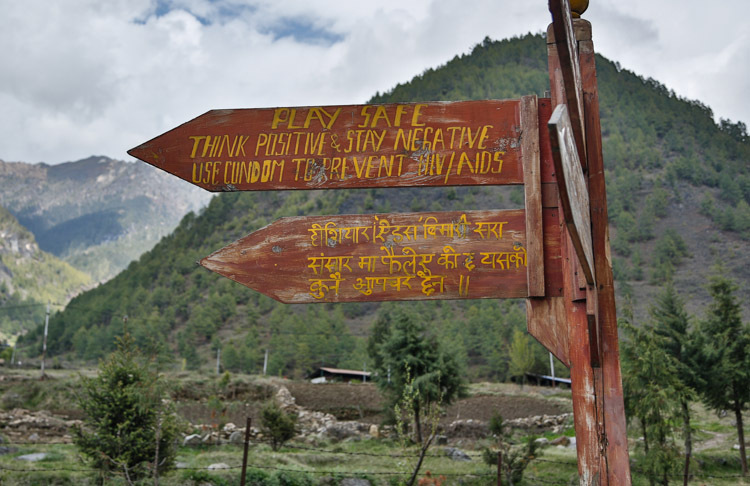 A new Indian-made retroviral drug became available, and contact with other HIV sufferers living in Thimphu provided much-needed support. He took up cycling and started to eat more healthily, and co-founded Lhak-Sam, an NGO that provides HIV/AIDS education and supports people living with HIV in Bhutan, “I don’t like to rest,” he told me, “I prefer doing things”. Today his T-cell count is a very normal 900 cells/mm³ and he cycles the 20 kilometres (12 miles) from his home to work at Lhak-Sam – wearing bike shorts under his gho. This year’s tour falls on 5th September 2015 – look out for Pema Dorji’s name in the list of finishers.